Broadband 3D wide-azimuth survey designed and modeled based on in-depth understanding of the geological structure of the Gulf of Mexico. 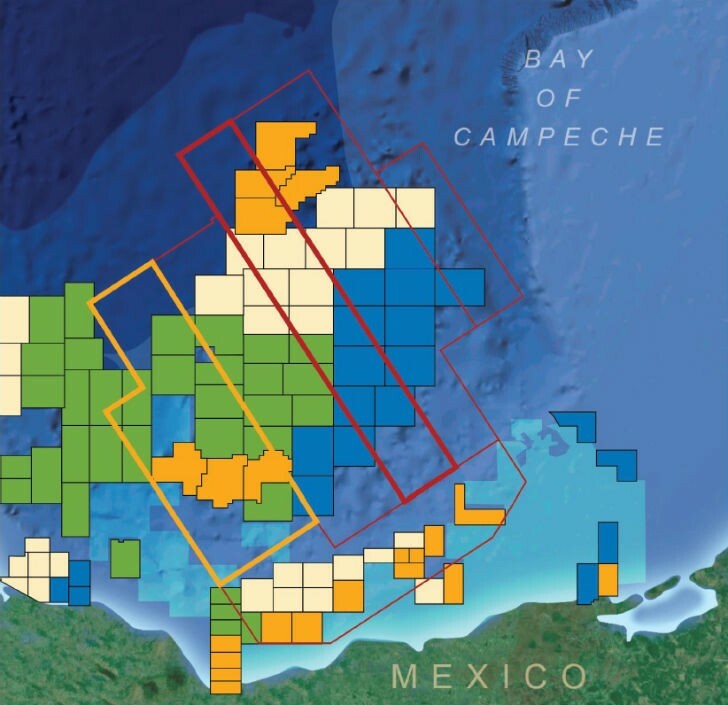 1325 S. Dairy Ashford Dr.
Schlumberger has expanded its Gulf of Mexico multiclient wide-azimuth seismic data portfolio by launching a new survey in the Campeche Basin. The acquisition of the industry’s first multiclient wide-azimuth survey offshore Mexico will cover 80,000 sq km using two fleets of WesternGeco vessels, including Amazon Class, the world’s first purpose-designed 3D seismic vessels. Subsurface challenges in the Campeche Basin—including near-salt and subsalt structures, complex faulted structures, and deep-thrusted structures—are overcome using a suite of wide-azimuth, long offset and broadband seismic surveys. In such complex geology, where illumination of the subsurface is challenging, wide-azimuth acquisition and broadband imaging technologies deliver advanced data to support identification of subtle structural and stratigraphic traps, provide better delineation of fractures, and improve reservoir characterization. Following completion of the seismic acquisition program in early 2016, customers will have access to high-quality images to support future appraisal campaigns in this frontier play. The Mexico multiclient wide-azimuth survey was designed and modeled based on customer interest and input to the program. Additional Schlumberger multiclient projects in Mexico include reimaging of the Campeche and Perdido basins.